Sorry... the 2017 Volvo S60 Inscription is no longer being sold as new. 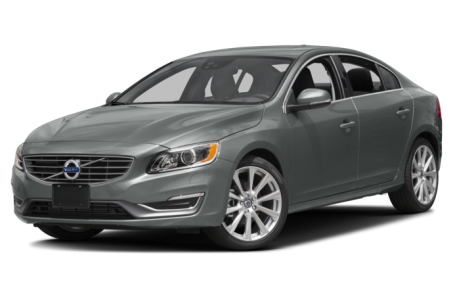 Instead, take the first step to a great deal on 2018 Volvo S60 Inscription with a free price quote! The 2017 Volvo S60 Inscription is the elongated version of the regular S60. It competes with the Lincoln MKZ, BMW 3 Series, and Mercedes-Benz C-Class. Two trims are available: the base model and Platinum. In terms of style, the S60 Inscription is nearly identical to the regular S60, but it adds 3 inches to the wheelbase for improved rear legroom. Overall, the S60 Inscription has understated, clean styling with sporty, yet moderately proportioned motifs. The front grille and lower front and rear fascias are trimmed in chrome, while the rear-end motifs have an interlocking alignment for visual interest. Standard features include Xenon headlights, LED daytime running lights, heated side mirrors with turn signal indicators, a dual-pipe exhaust system, a power moonroof, and 18-inch alloy wheels. Power retractable side mirrors and a rear spoiler are also available. Under the hood, the S60 Inscription is identical to the regular S60. It is powered by a standard 240-hp, turbocharged 2.0-liter 4-cylinder engine mated to an 8-speed automatic transmission. Front-wheel drive comes standard, while all-wheel drive is optional. Fuel efficiency for the S60 Inscription is an EPA-estimated 25/36 mpg city/highway. Inside, the S60 Inscription has an upscale leather interior with wood or aluminum trim. The center stack features a Sensus Connect multimedia system with a TFT display, navigation, Bluetooth connectivity for phone and audio, voice recognition, and a USB port. It can be upgraded with an integrated navigation system and a Harmon Kardon premium audio system. Standard features include automatic climate control, cruise control, and an automatic dimming rearview mirror. Heated front and rear seats, a heated steering wheel, remote vehicle start, and a rear seat entertainment system are available as well. Along with the regular S60, the S60 Inscription earned a full 5-star overall crash test safety rating from the National Highway Traffic Safety Administration (NHTSA). Standard safety features include a backup camera and rear park assist. Available active safety features include adaptive cruise control, a blindspot warning system, a collision warning system, automatic emergency braking, pedestrian detection, lane departure warning, and lane keep assist. Volvo On Call (with subscription) also gives the driver access to roadside assistance and emergency services. 16 of 16 (100%) consumers said they would recommend this vehicle to a friend.